Avi is a Medical Doctor, Senior Managing Consultant & Clinical Implementation Specialist at IBM Watson Health and Co Founder of Doctorpreneurs. Avi graduated from Imperial College School of Medicine in 2011, having earlier completed an intercalated BSc in Management at Imperial College Business School. With a clinical background in general medicine, Avi worked as a trainee in the NHS and in private practice for the Centre for Health & Human Performance, 76 Harley Street. As a trainee doctor, Avi initiated and led multiple initiatives to improve the safety and quality of patient care, including leading an extensive Trust-wide project to improve clinical handover. He designed and oversaw the development of a digital handover solution, securing full funding, guiding the agile development process and coordinating the implementation of the solution across an NHS hospital trust. In 2014, Avi was appointed as a Clinical Fellow to the NHS National Medical Director, Sir Bruce Keogh, and seconded to Bupa, an international private health and care organisation, where he worked as a Clinical Consultant on strategic initiatives across various business units. Following this Avi was appointed as Bupa’s Global Clinical IT Manager and in this role, he supported Bupa’s digital transformation and digital health innovation strategy. 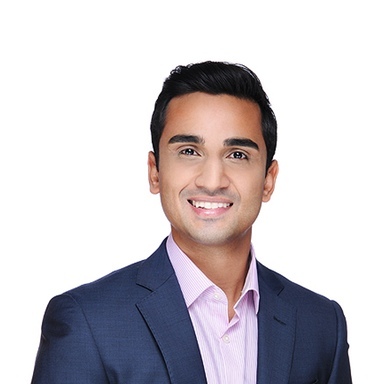 Avi is currently working for IBM as a Clinical Implementation & Adoption Specialist in their Artificial Intelligence division, IBM Watson Health. With a primary focus in Oncology & Genomics, Avi is responsible for leading the implementation, adoption and evolution of cognitive clinical solutions across healthcare systems worldwide. He is also the clinical adoption lead for Watson for Genomics and serves as a member of the Watson Health Global Clinical Council, under the Chief Health Officer, Dr Kyu Rhee. Avi continues to serve as an Innovation Fellow to the NHS National Clinical Lead for Innovation, and as a mentor for the NHS Clinical Entrepreneur Programme.